I get asked quite a bit as to which eyeshadow brushes do I recommend and what kinds of brushes are necessary. 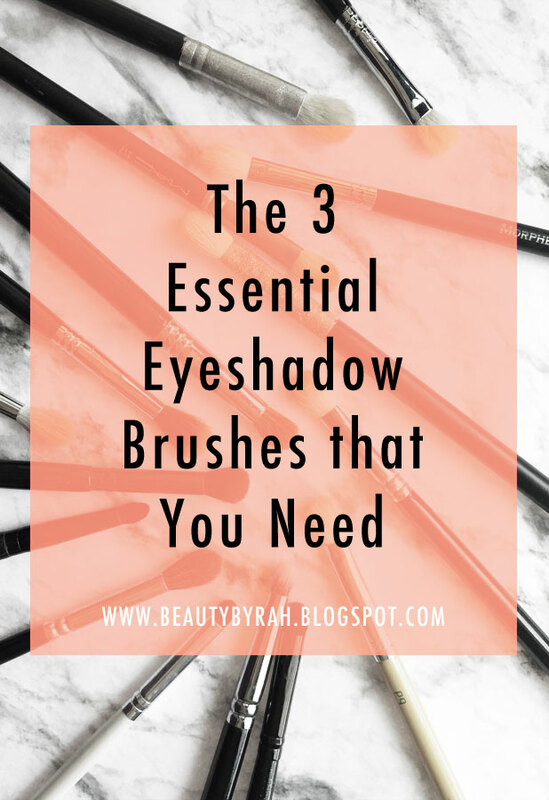 For those who aren't cracked on eyeshadows (like me) and would just like to know and do the basics, you ultimately require only three brushes, in my opinion. These three eyeshadow brushes are able to help you create the three most common types of eyeshadow looks, namely the smokey cat eye (light on the inner corner and gradually darkens towards the outer V), traditional smokey eye (darkest along the lash line and gradually becomes lighter towards the brow bone) and the halo smokey eye (dark on the inner and outer corners, with a lighter shade placed in the middle for a spot light effect). The shade, bristle type and bristle length does contribute to how the final look will turn out and I know that there are a myriad of brushes in the market out there and it can be very intimidating. Just remember that the knowledge of what a brush does and how to use a brush exceeds getting tons of brushes that you do not know how to use or have no use for. When you start to be more comfortable using brushes and are feeling more confident in creating basic eyeshadow looks, you can definitely expand your collection by purchasing the more specialised eye brushes that are more precise and are meant to create certain looks. I can dive way deeper into this subject but that would be for another blog post. 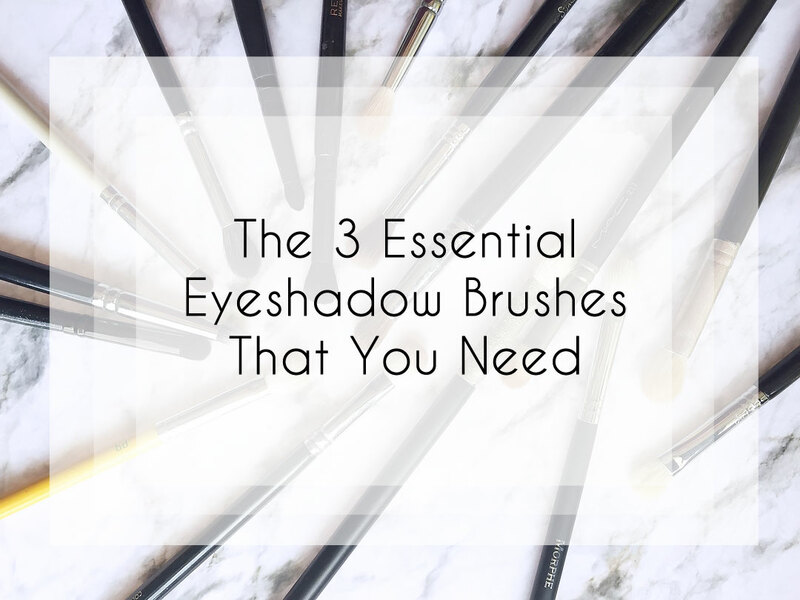 Let's just talk about my list of three essential eyeshadow brushes. Blended eyeshadows are key in any look in my opinion and I do cringe slightly when I do see eyeshadow that isn't blended out properly (but if that is the look you're going for, you do you). Eyeshadows, as the name suggests, are meant to create shadows and depth on the eyelid, to produce an illusion that you desire, be it larger eyes, rounder eyes, or to make them look more almond shaped. They aren't "eye colours" where you plop them on the lid and head out the door. This is where a handy blending brush comes in. Blending brushes helps to soften out the edges of the eyeshadow placement and aid in the creation of the gradient. 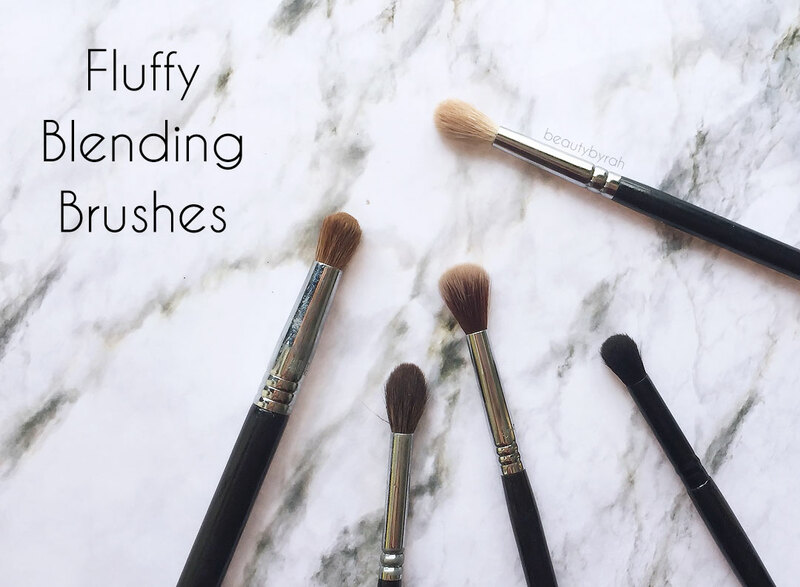 There are rounded and fluffy blending brushes (think MAC 224, Sigma E40 and Zoeva #221 Luxe Soft Crease) and those that are tapered at the sides (think MAC 217, Sigma E25 and Zoeva #227 Luxe Soft Definer). 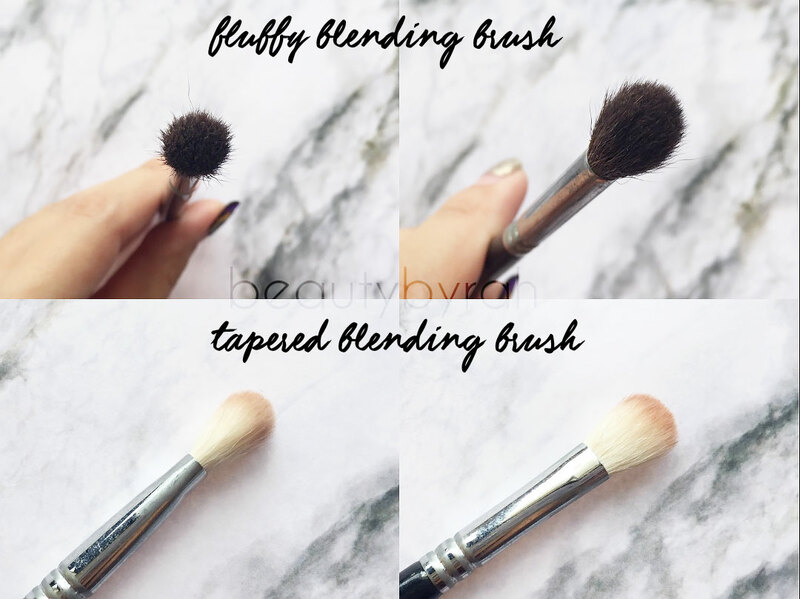 Which blending brush to use will ultimately depends on the amount of lid space you have. I do have quite a bit of lid space to work with and I find that using a rounded fluffy blending brush works fine as the eyeshadow colour gets blended into the crease without going too high up. However, from my experience of applying makeup on Asian models, there isn't a lot of eyelid space to work with so I would usually opt for a tapered blending brush to have more control as to where the eyeshadow colour is going to blend into. P.s. If you struggle with eyeshadow blending too high up, try holding the brush downwards. This results in the bristles sticking down, and when you blend, the colour would be blended lower. For application of eyeshadows onto the mobile lid, a shader brush comes in extremely handy. Using a dense and flat shader brush would help to maximise the colour payoff and pigmentation of the eyeshadow on the lids. This is because the bristles are dense and is able to deposit the pigments onto the lid nicely. If you wonder why eyeshadows aren't looking as intense as you would like, try opting for a dense synthetic shader brush. I recommend getting one of an average size, so it can multitask for applying highlights on the brow bone and inner corner as well. 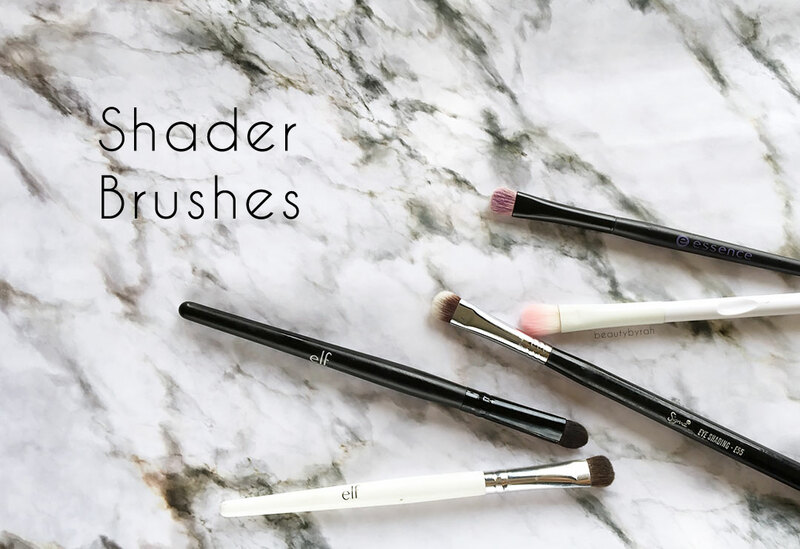 My favourites include the ELF shader brushes (USD 1 or 3! Fantastic.) and the Sigma E55 Eye Shading Brush. Pencil brushes are tapered to a point and allow for detailing work or more precise eyeshadow application. These come in extremely handy if you have hooded lids as well, as you have a lot of control as to where you are depositing the eyeshadow. 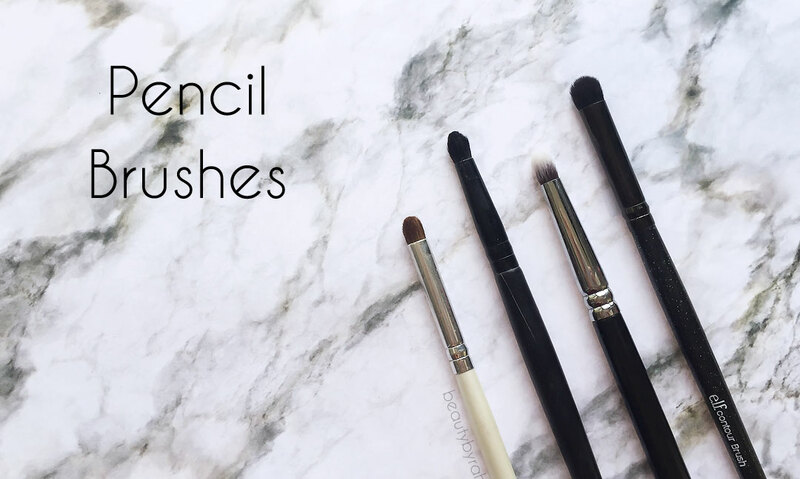 Pencil brushes can also be used to add colour on the lower lash line or to smudge out lines and pencils for a smokey eyeliner effect. I like to use pencil brushes to deposit my dark eyeshadow colours, before using a blending brush to blend it out. These steps ensure that I keep the colour exactly where I want it. Pencil brushes that I do enjoy are the Zoeva #230 Luxe Pencil, ELF Professional Eye Crease Brush and ELF Contour Brush. There we have it, my recommendations for the three essential eyeshadow brushes for creating any makeup look. Eyeshadow is really about understanding how to work with your lid space, the illusion you wish to achieve as well as colour combination. Once those are clear to you, the brushes will come in nicely and it will no longer seem confusing af (I was once there too, lost and baffled). Quality does matter, but that does not mean paying more. ELF does amazing brushes for an affordable price. Zoeva may seem pricey to some of you, but these are an investment, and with care, they can last you a long time. My brushes have been with me since 2012 and are still going strong. My last tip is to save on the shading and pencil brushes. Do spend more money on a good quality blending brush as that is the most important brush that will be doing most of the work for you. 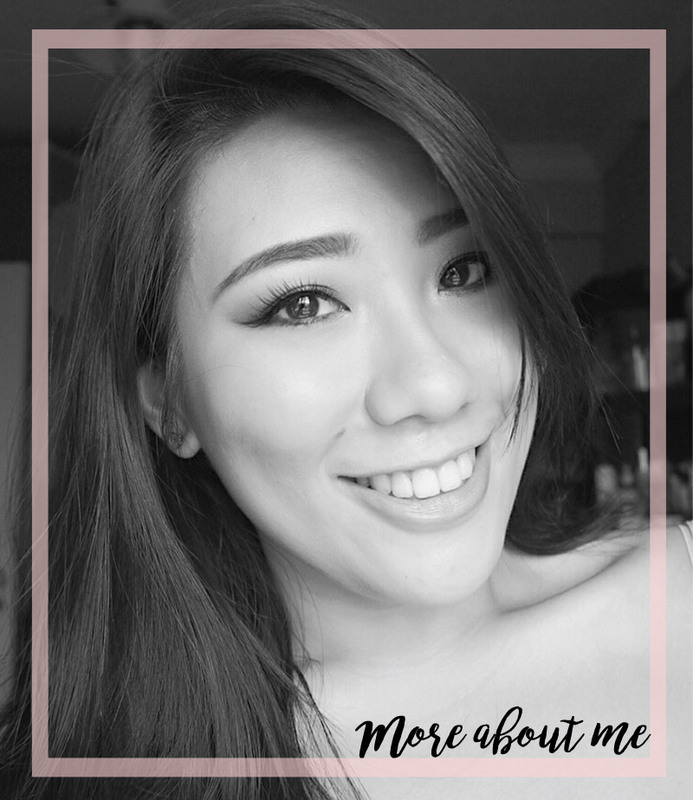 I highly recommend the Zoeva ones, for both beginners and makeup artists alike. There you have it. These 3 types of eyeshadow brushes are, in my opinion, important and necessary to do almost any eyeshadow look. 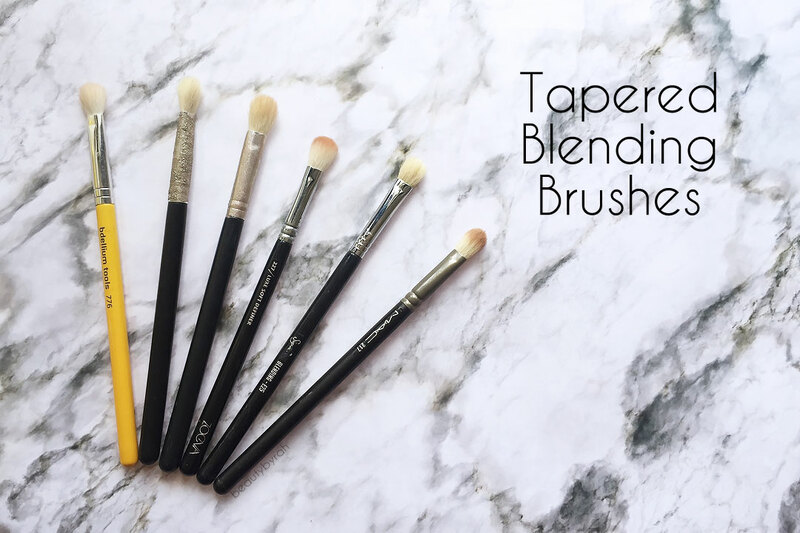 If you're a beginner, starting off with these 3 types of brushes will definitely help you in improving your eyeshadow techniques. Hope this post was useful. If you have any questions, leave them down in the comment section below and I'll be sure to get back to you!